Bill Gates: Creation/Evolution Warrior ??? Bill Gates seems to be wading into the creationism/evolution controversies. But he doesn’t seem to know it. At least that’s the sense I get from an article in this weekend’s New York Times Magazine. Bill-Gates-bashing is a popular sport these days among progressive-education types. I don’t usually go in for it. But this article makes it crystal clear that Mr. Gates really does have more money than sense. He seems utterly unaware of the history and context of his own pet projects. Gates liked it. So he thought everyone should get it. He funded a project to bring Professor Christian’s style of “unifying” world history to high schools nationwide. Instead of lumbering through disconnected areas of culture and geography, the thinking goes, students will be electrified to see the connections behind seemingly disparate events and disciplines. Let’s ignore for a minute the other painful moments in this article, such as when Mr. Gates gleefully notes his ignorance of the history of teaching biology in secondary schools. Gates told Sorkin happily that he had no idea about this basic history. “It was pretty uncharted territory,” Gates said, “But it was pretty cool.” Of course, this history of biology as a school subject is not at all “uncharted territory.” Even a two-second google search would have offered Mr. Gates some quick historical outlines of the issues involved. 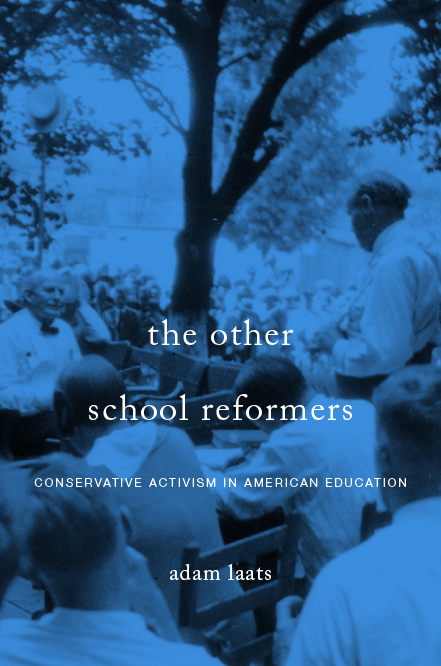 Let’s also pass by Mr. Sorkin’s apparent ignorance of the roughest outline of American educational history, as when he states that high-school education began to be mandatory in the 1850s. It didn’t. In some states, such as Massachusetts, education became compulsory at that date. In other states compulsory education laws did not kick in until the 1910s. Even in compulsory-education states, high school was not required as such. Again, I’m not expecting a journalist like Sorkin to have delved deeply into this history. But even a check of Wikipedia would have helped. But let’s politely ignore those howlers and move on to the main question: What does this new Gates history curriculum have to do with creationism? Both Gates and Professor Christian do not seem aware of the long history of their sort of “unifying” history. As Jon H. Roberts demonstrated so brilliantly in his co-authored book The Sacred and the Secular University, the decisive shift away from religious moralizing in mainstream colleges came with the abandonment of the effort to offer students a satisfying “unifying” narrative. Throughout the eighteenth and nineteenth centuries, Roberts demonstrated, college presidents traditionally offered a capstone course in “moral philosophy.” This course hoped to give students a sense of the unifying nature of all forms of truth. In most cases, that truth was lodged in Christian theology. In other courses, too, professors in old-style colleges tended to suggest that there was a supernatural glue that held all knowledge together. It was the intellectual revolution that included Darwin’s evolutionary mechanism of natural selection that wrought a wholesale change in this sort of “unifying” education. As Roberts’ co-author James Turner argued, this shift in university attitudes was pushed and accompanied by the rising prestige of disciplinary knowledge. In older schools, professors were supposed to pursue knowledge as such, to pursue the unifying sorts of knowledge that David Christian seems to prefer. In modern universities, that knowledge was parceled out into the academic disciplines we’re familiar with today. What does any of this have to do with Bill Gates’ Big History Project? In its older incarnation, a sweeping history that unified all sorts of knowledge suggested that the unifying element was God. The reason students should seek knowledge in all its forms, the thinking went, was because all knowledge pointed toward the Creator. Whether they mean to or not, Gates and Christian will have to choose what sort of unifying idea they prefer. And they seem surprisingly unaware that this choice is precisely at issue in our century-long culture war over evolution and creationism. The Big History Project doesn’t put God at the center of its narrative. It begins with the assumption that the universe is 13.7 billion years old. It explains the roots of humanity in other forms of life. These are ideas at the center of the continuing creation-evolution controversies. If Gates and Christian are looking to produce a Cosmos-like statement about the intellectual weakness of creationism, fine. But they don’t even seem aware of the issue. In the NYT article, at least, Gates seems to worry only about educational bureaucrats getting in the way of his big idea. Maybe I’m missing something. Perhaps Gates deliberately plans to bypass creationists entirely. Perhaps he hopes that by not mentioning creation/evolution controversies, he won’t have to engage with them. But for anyone even mildly aware of the current state of cultural tension over the teaching of humanity’s long history, such a curriculum seems fraught with controversy. It seems like something they might want to think about. Gates is a world server for Lucis Trust, formerly Lucifer Publishing Company, founded by Alice Bailey who was a soothsayer. I have read her stuff, she was not at all religiously neutral and she was not a Christian nor Jew and in fact despised both.